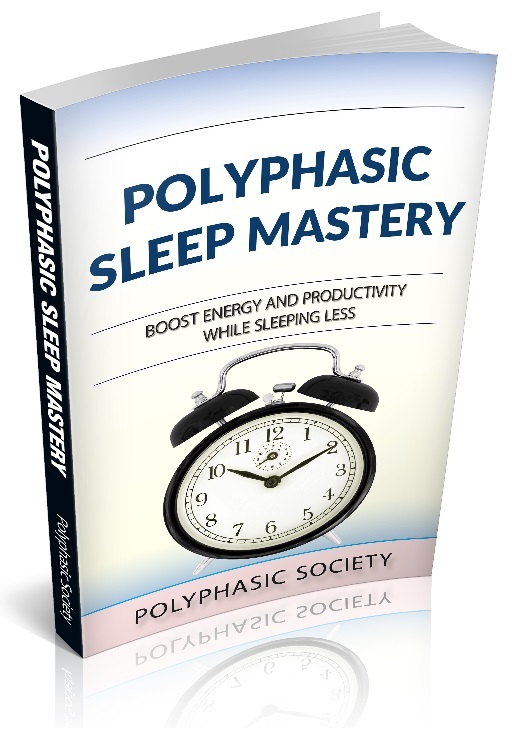 Many people would like to jump into polyphasic sleep without knowing even the basics of sleep hygiene. Why is sleep hygiene important to polyphasic sleep, you might ask? Try to sleep as close to the same time each day as you can. The more regular your sleeping pattern is, the stronger your circadian rhythm will be, the faster you will fall asleep, and the better quality sleep you will get. 2. Don’t use white/blue/green light at night. As soon as it is dusk, you should be changing from white lights to amber until dawn. This is because the retina detects blue light in the white light spectrum which triggers a signal telling the brain it is day time. If the retina detects blue light, then it will prevent the release of melatonin and prolactin, two important night hormones. Ideally you want ~2-3h of dim and darkening light (or 500ug melatonin) before you go to sleep, and pitch black (or just no blue or white light, or 5mg melatonin) in the middle of the night after your core. 3. Do use white/blue/green light at day. When the retina detects white/blue or green light it will send signals to the brain saying it is day time. It is best to raise from your dawn sleep naturally via exposure to light, either the sunrise or using a lamp connected to a timer. This will trigger a healthy spike in cortisol and you will wake up to start your day. Besides cortisol, vitamin D from the sun is also a circadian anchor. Ideally you want ~2-3h sunlight exposure (or vitamin D supplementation) in the morning which will help you sleep better at night. 4. Core early and nap early. Early to bed, early to rise makes a man healthy wealthy and wise. This saying still applies to polyphasic sleep. SWS pressure is highest right after dusk so you should sleep after dusk early (yes, in bed by 6-10pm). Get up early (around midnight) and if you are going to nap, scedule your nap[s] early in the day because this is when REM pressure is highest, so NAP EARLY (yes, nap from 4am-2pm). Yes, this will mean you nap less frequently in the evenings and nights, but sometimes a morning nap is worth twice that of a night nap in yield of REM. 5. Eat well for sleep. Food is a great regulator of hormones, and fasting, then eating as soon as it’s morning, is a well known technique to battle jet lag. Medium blood sugar is optimal for REM sleep, while low blood sugar is good for SWS. Do not eat carbohydrates after your midday nap so that your blood sugar is low for the greatest quality sleep in your first core sleep. High carbohydrate foods can prevent prolactin production, and reduce SWS from raised blood sugar and inflammation. Nutritional ketosis can be beneficial for people who struggle to get enough SWS, as ketosis will yield the greatest amount. Eat small amounts of low GI (<50) foods before naps to stabilize REM sleep. 6. Fast around the dusk sleep. Do not eat ~2-3h before a core sleep. It may be fine to take a REM nap right after eating some lunch, but if you are expecting to get quality SWS at night in your core sleep and good hormonal regulation you need to be eating and digesting food before you go to sleep. Gastric activation in sleep can prevent prolactin from being released and can disturb the function of deep sleep. Have at least 1x8h block per day where you do not eat. Usually you can choose this period by counting forward 8h from your dinner time. For example 8pm sleep and 6pm dinner means you should not eat until 2am. A longer fasting period may be beneficial and some people. Regular resistance training a few hours before a core sleep will increase SWS pressure sharply and increase SWS at night. You need 2-3h rest before sleeping after hard exercise to allow your nervous activity to go back to normal. Generally we will exercise, then eat, allow light to become dark for 2 hours, then sleep. Regular cardio at night after your core sleep can increase melatonin and improve REM the following sleep at dawn. 8. Do not use stimulants ever. Stimulants like caffeine or some nootropics, prevent the brain from lowering BWFs and therefore prevent quality SWS. Even small amounts of stumulants left in the blood (after many half-lives) disturb sleeping patterns in the long term. It can take over 14 hours to get rid of one cup of caffeine from your system. 9. Do not drink alcohol before a nap. Alcohol is anticholinergic, and REM is a cholinergic function of the brain, ingesting it will prevent REM from occurring for the hours it is in effect. Drinking moderate amounts of alcohol before a core sleep may be fine (if it is a low carb alcoholic drink). 10. Never sleep for more than 5.5h at a time. You shouldn’t ever need to sleep for more than 5.5 hours in one sitting. For adults who are new to polyphasic sleep this should be rule #1. It may take time for your body to regain it’s youthful habits. Most people will naturally wake after 3-4h, but some will find up to 5.5h is required to feel best. Babies, who naturally wake up every 3-4 hours, should aim to get their recommended amount of sleep, but should not be forced back to sleep for 8 hours if they naturally wake to feed. Even if you are sick there is little reason to stay asleep after 5.5h sleep (unless, of course you are extremely ill), if you can get up and walk about, stay up for an entire BRAC and spend some time stretching, drinking and eating before going back to sleep. 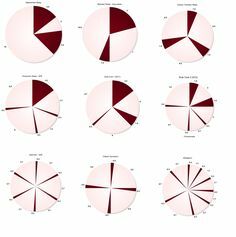 If you are sick and a polyphasic sleeper, you might require 16h recovery sleep in a day, but it should be (for one example) 4x4h sleep with 2h in between each sleep, not 16h monophasic sleep. Drinking water doesn’t cause a release of insulin, does it? No it doesn’t, drinking water should be fine, though I wouldn’t drink within 10 minutes of a dusk core sleep. BWF is brain wave frequency. So I can’t drink a cup of coffee at all? No you cannot, caffeine does not have enough time to leave the system before any nap or core sleep, as stated in the article. Hi! What about tea(green, black, puer etc)? Is it also not recommended? Theine and Caffeine are the same substance, so the “no-caffeine rule” should also apply to Green, Yellow, Black tea. What would I have to change if I take concerta once a day?